The end of everyone’s financial plan and life’s journey is the beginning of something beyond what we as human beings understand. The concept of death is difficult for those in the western world to relate to and Carole Ann addresses that topic in her teachings. As we plan our daily existence now and in the future we will work with you to reflect on how to plan for that which transpires after our bodily existence is complete. 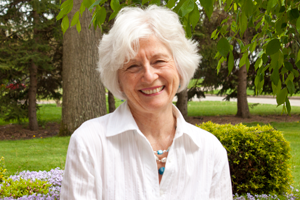 We would like to introduce you to Carole Ann Drick, PhD, RN, TNS, TNSCP. Her professional background as a holistic nurse, educator, author, consultant and speaker has given her insight into the body and how life works from a physiological perspective. In her many years in the healing field she has experienced the joys and pains of life and death and has explored many paths that helped her to understand how to assist others find the peace, joy and freedom available to all of us. Carole Ann had been fortunate to study many healing modalities with many leaders in the field of body-mind-spirit connection. Since 2000 she has done seminal work with Eckhart Tolle, Michael Brown and now with Dr. Morguelan – an LA gastroenterologist who works in western as well as eastern medicine. Her work reflects the deepening knowledge and life experiences that can bring peace and understanding to end of life through living in this moment. She understands that our life experience is a direct reflection of the choices we make and the sooner that we begin making healthy choices the sooner we will enjoy the fun and fulfilled life that is attainable to each of us. Like we at AFA, she understands the mind/body connection and the impact that has on the many facets of our lives. As a healer she works with groups and individuals to attain whatever version of physical and spiritual life they truly seek. Carole Ann has two websites that you might be interested in:www.livingthepresence.org and www.GoldenRoomAdvocates.org . She can be contacted through her websites. Carole Ann will be contributing periodic ideas to assist you on your journey in health and healing. Carole Ann Drick is not affiliated with nor endorsed by LPL Financial. The information provided by Carole Ann Drick is for informational purposes only.